The Canon EOS 80D DSLR Camera is the successor to the 70d with several nice improvements. In this article we go over the 80D specs and discuss its pros and cons. This DSLR is an ideal mid-range photography and video-making camera. 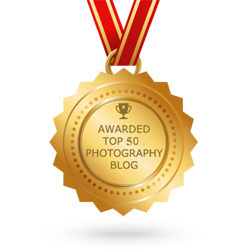 Canon is a remarkable brand that is loved by almost every photographer and video-maker in the world. It has models to offer for all budget sizes and pockets. It offers APS-C cameras for the beginners, mid-range semi-pro cameras for the enthusiasts and full-framed DSLR models for the professionals. 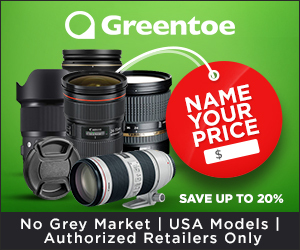 You can check the latest pricing and get more details for the Canon EOS 80D by clicking here. This is an enthusiast-level DSLR. 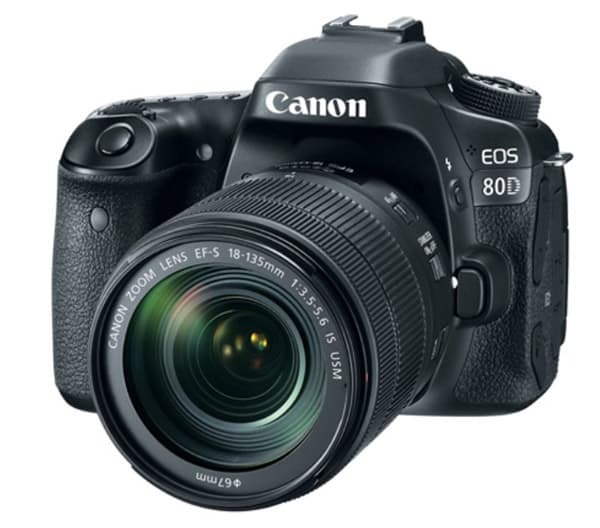 The Canon EOS 80D DSLR Camera contains a 24 MP APS-C CMOS sensor which is self cleaning. The design includes on-sensor Dual Pixel autofocus system for the semi-professionals. This camera system uses the DIGIC-6 reliable processor. Canon also introduces the flicker-detection feature into the list of technologies within the model. With this feature, this camera is capable of detecting flickering lights and can coincide with the light source’s peak brightness so that the generated results are highly consistent. It also has enhanced the autofocus system to a 45-point hybrid AF system. Basically the camera detects the subject from 45 points in the view. The one in the 70D was only a 19-point AF system. This new model has increased the bar close to the professionally oriented model 7D Mark II. The 80D records movies in both MOV and MP4 format. The iso range is 100-16000 for stills and 100-12800 for movies. On top of regular HDR mode it has HDR movie mode where it combines frames with different exposures. 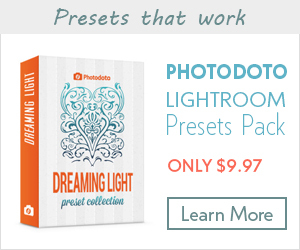 Creative filter modes allow live filters such as Dramatic B&W and Miniature Effect. Time lapse movie mode lets you create silent movies at predetermined intervals. The 80D can utilize SD, SDHC and SDXC Memory Cards. It uses the Canon EF mount and can take any Canon EF Lenses (including EF-S lenses). Let us find out about the other features of the camera. The new 80D almost looks alike to its predecessor, the Canon 70D. This new model has an excellent design that comes with a moisture and dust resistant format. The camera body makes it ideal to use in different weather conditions. 80D has a sturdy polycarbonate exterior and a strong chassis made of aluminum-magnesium alloy. This alloy is specifically designed to provide lighter weight and extreme sturdiness to the camera. The aesthetically-pleasing camera body also offers a great grip. The lighter bodyweight and grip will ensure easy handling of this model for long hours. Due to the similarity in product design, it can be used comfortably by users who have already used the Canon EOS 70D previously. The continuity of the same design makes it aesthetically pleasing for Canon admirers. The body contains mostly high quality polycarbonate plastic and is weather resistant, as mentioned earlier. It can also withstand drops of rain without any problems. Do not expect the protection level of high-end models such as the 1D series or 5DS/R series though. The contoured grip is ideal for the enthusiast. The stability of the model also offers immense balance in the hand. Its dimensions are 5.47 x 4.14 x 3.09 inches and it weighs nearly 1.6 pounds including the battery but without the lens. In fact, this model is ideal for long haul ventures as it will not strain your hands, neck or back even if you shoot all day. The Canon EOS 80D model has excellent features packed inside it. The users will find all the major controls accessible from the rear 3 inch touch-screen. The touch-screen offers a clear view of the captured images. It can be tilted for better viewing and finding the view depending on the angle preferred by the users. The tilting screen can also be used to counter glare when the user is working in a bright environment. The screen allows the users to shoot from a high or a low angle without any issues. It shoots what you see on the screen. You can also swipe to check the images and use pinching with your fingers to zoom in or out. The touch screen in this model is very responsive and highly accurate which helps the user to scroll through the menu, focus faster and navigate quickly to make shooting easier. The viewfinder has 100% coverage. This camera also packs the single touch NFC technology alongside Wi-Fi connectivity. It can be easily connected with any device via these features. NFC allows seamless connection to android devices such as smartphones. It contains a built-in flash and also includes a hot shoe in the external feature to add an external flash to the system. The model also has an external jack to use a microphone. It also offers an HDMI mini output, a terminal for using a remote control, and a headphone jack to monitor the sound captured by the camera. Organization is the key to the success of this model. 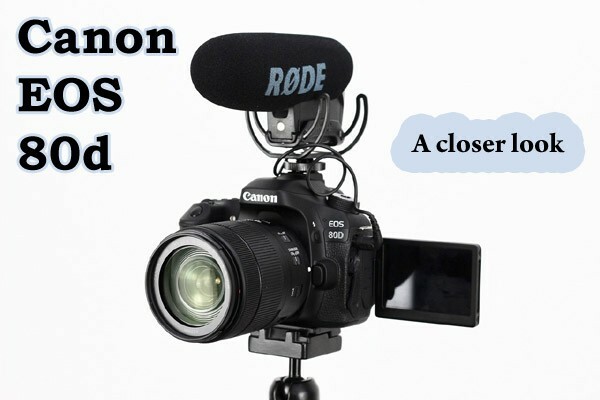 The external controls on the body of the camera are similar to that of the old versions so that the canon fans can find convenience while using the Canon EOS 80D. Learning the basics is easier with this new model as well. This model offers a few custom options. The mode dial contains two new settings. Users can also assign a few buttons for a specific custom function. It means that users will enjoy the most-used settings right away using the shortcut buttons assigned for each custom setting. In the semi-manual mode, the Main Dial is used to navigate the menu and alter exposure settings. In full manual mode, the user has to use the main dial for changing shutter speed and then reach out to the Quick Control Dial for adjusting the aperture. The menu is perfectly tabulated so that a user can easily navigate through the pages, categories, and subpages. The entire menu system is perfectly stacked in a logical way so that the users can find it easier to reach to their destination option. The extensive set of features of this model is quite impressive at this price range. There are automatic features that will aid an amateur in understanding the concepts and shoot good photos from the start. 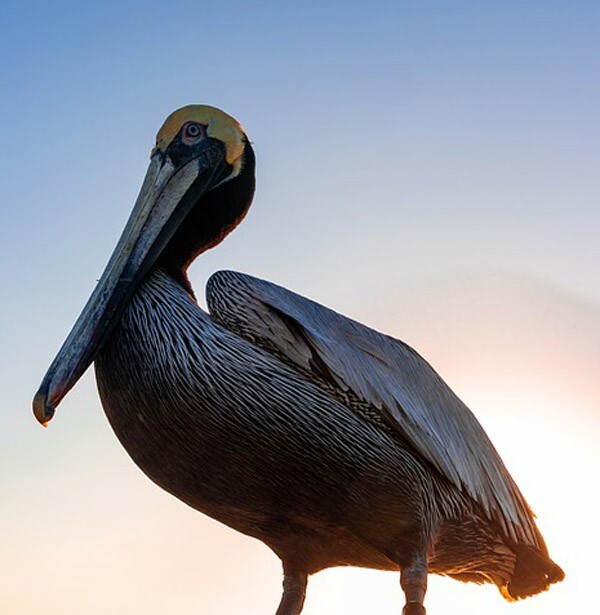 The on-screen descriptions alongside the point-and-shoot mode will offer ample convenience to enthusiast photographers. 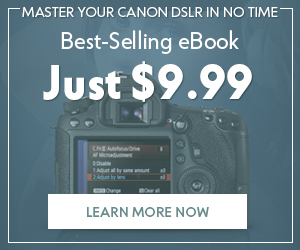 The Canon EOS 80D DSLR Camera is good for both beginners as well as more advanced users. It can be a good investment and can provide great service even if your requirements become more sophisticated with time. When you consider the previous model, 70D, it had only 19 points in the AF system. But, this time Canon has decided to provide a 45 point AF system for the new version. All the points included in this AF system are of cross type. In fact, 27 out of the 45 points provided in the AF system become more active while using a lens and tele-converter combination. When the aperture is set to a maximum of f/8, the points become more active. This camera also features Dual Pixel CMOS AF Technology which consists of two photodiodes per pixel. 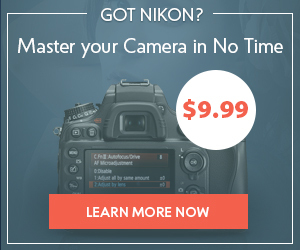 This is especially helpful in shooting video and quick transitions from one subject to the next. The intelligent AF system is ideal for those who are starting to learn the basic facts of professional photography. This time Canon made a great introduction of the continuous Auto Focus feature in the live view mode. This improvement in a camera within this price range is appreciated by emerging photographers and video-makers. This feature is appropriately utilized by the users to focus well on the objects that are simultaneously moving closer and far. The Auto Focus system of Canon 80D is quite snappy and offers a responsive medium for focusing during live view ventures. It also offers a better platform for higher buffering depth. It has the capability of recording full resolution photos at 7 frames per second, which is quite good at this price. The camera packs a 24 megapixel sensor that allows you to capture high resolution images and videos. It means that you can easily crop the pictures to a higher extent without losing the detail level. The Canon EOS 80d has the best dynamic range of any APS-C Canon camera and includes an HDR function. The jpeg sharpening algorithm is a bit stronger than that of the 70d. At an iso of 3200, noise is still managable. There is an antialias filter. Despite all these great features of Canon EOS 80D DSLR Camera, it does not offer 4K video capture mode. You can shoot 1080/60p video (full HD format) however. If 4k video is not your main goal or you cannot edit it on your computer due to memory requirements, you will be ok. The dual Pixel Auto Focus system is ideal for the enthusiasts and semi-pros to work with. All in all, this is a great model from Canon to follow your passion of photography and making videos. I hope this helps in your camera selection. You can purchase the Canon 80D here on Amazon or B&H. For a look at the higher end Nikon D850, click here. Nayan is a copywriter and graphic designer best known for his work in image editing and photography. He loves to mingle with photographers.